Because sometimes, in spite of your best intentions, things will fail spectacularly. All that’s important then is what you learn and what you decide to do with it. 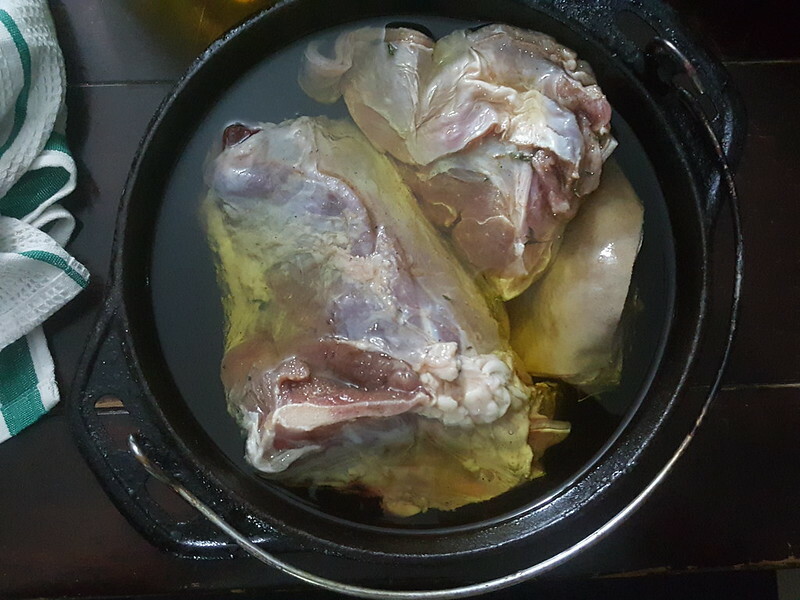 The idea for a goat confit came after a discussion with a friend, B. I don’t remember the exacts but I know I was at a store one Saturday evening determined to make it my weekend project. I’d confit’ed Duck before, so I wasn’t afraid. What I forgot was how easily and salty it could get. Perhaps it was time – so long ago that I had forgotten the process. 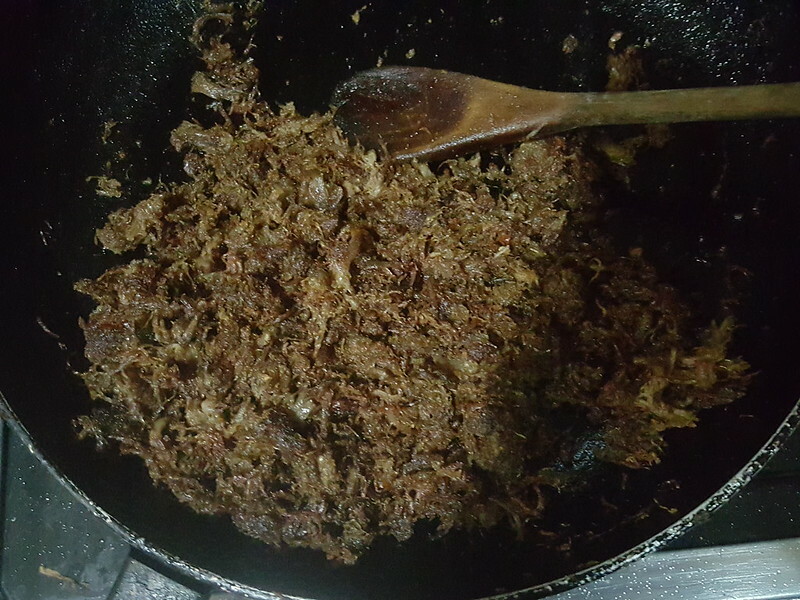 Perhaps it was over confidence – I’m a good cook, I ‘gat’ this. Perhaps I was in a hurry and so didn’t leave myself enough time to research. In the end, I made this confit. 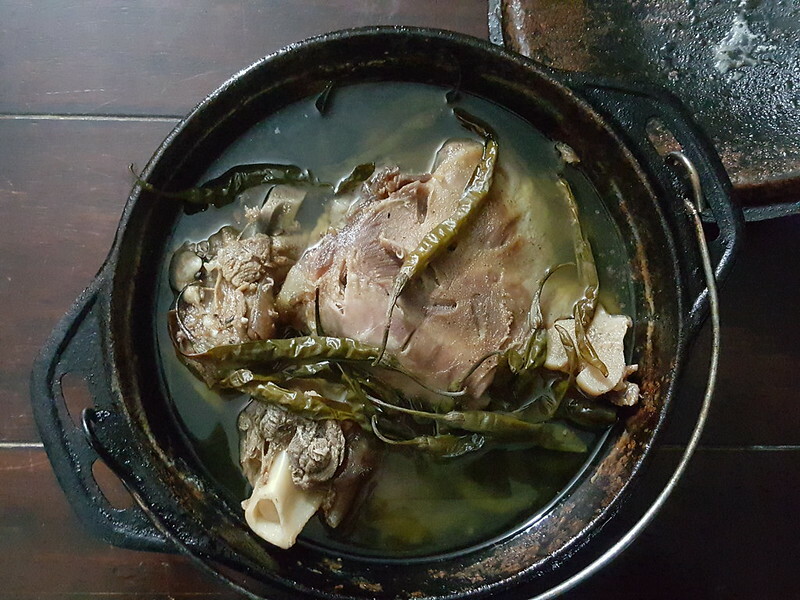 I salted, then I poached, then slow-cooked in a cast iron pot full of oil and green chilies. 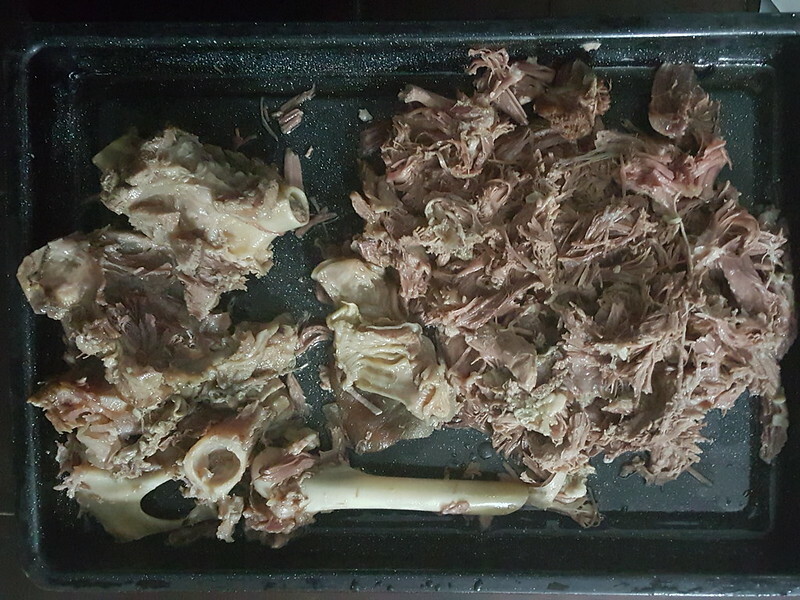 And when it was ready – meat fall off the bone tender, I tasted. And recoiled. In salt shock. I didn’t dwell too much on it. For one, I knew I wasn’t going to throw it away. So I began to think of what else I could do to salvage things. Lesson #3: There might not be a solution to every problem, but there are solutions to most. Lesson #4: If you give it some time and thought, the solution will come. Lesson #5: Old ideas can be extended to create new ones. 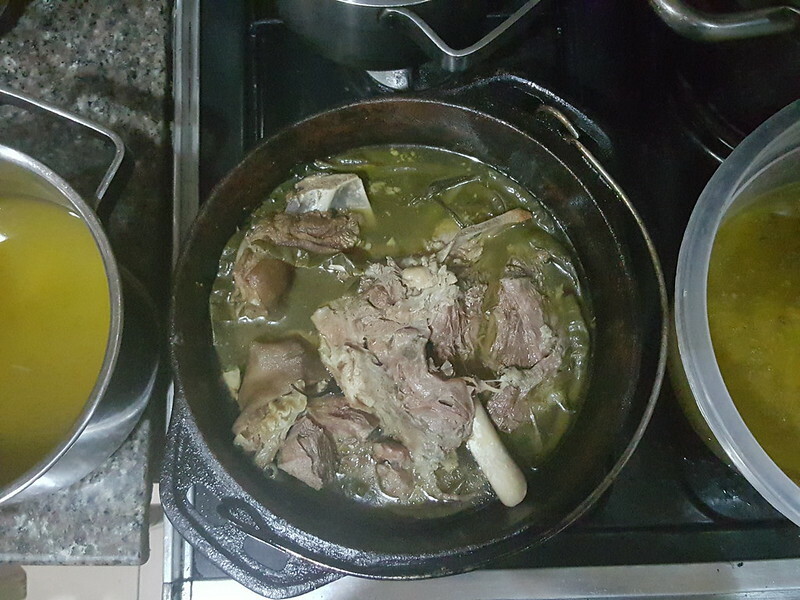 The poaching in water basically extracted a lot of the salt – yayyyy and left me with a tender meat product. 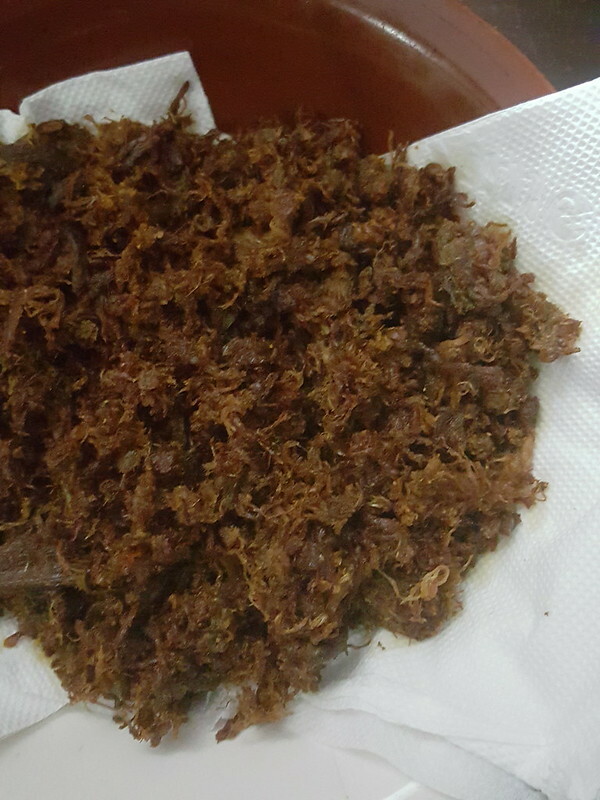 Which I proceeded to shred and convert to Dambu Akuya – essentially shredded goat meat floss. It ended up super tasty, not as salty and the perfect accompaniment/ toppings to salads. So…next time, I’ll do my homework and salt less. And if I do make a mistake, I’ll think through and not give up. Failure can be a good avenue for learning and eventual success.